LA-based label Culprit bids sayonara to the summer in style with their closing party atop the Standard Downtown this Sunday. 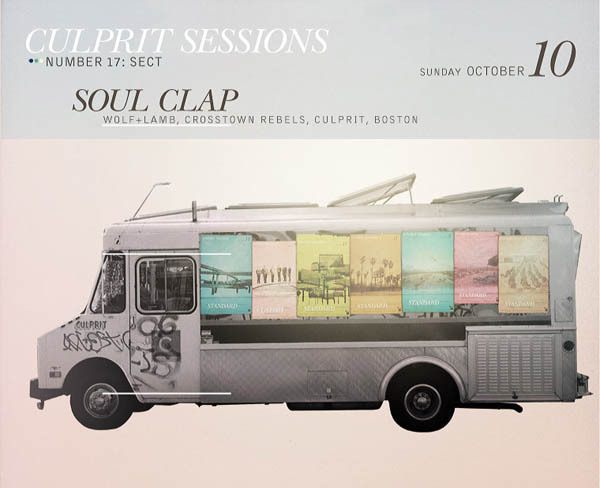 Label founders Droog are joined by the magnetic RnB house and disco infused duo Soul Clap (who were kind enough to show us around their hometown for our Coordinates: Boston feature) to end their monthly summer shindig with a bang. Sergio Santos and Tanner Ross — who with Soul Clap make up the quartet SECT which debuted an EP on Culprit earlier this year — will also be setting the pool party vibes. Because Culprit knows LIAS loves a good party, and in celebration of the label’s tenth release “McLovin’ You” by M A N I K, we got three pairs of tickets to give away. If you’re in Los Angeles this weekend, email us (put CULPRIT / SOUL CLAP in the subject line) and tell us your favorite post from last week and the first 3 responders will get +1 into the last Standard Summer Pool Party of the year. End your weekend proper, kids.